Beecher White, a young archivist, spends his days working with the most important documents of the US government. When Clementine Kaye, Beecher's first childhood crush, shows up at the National Archives asking for his help tracking down her long-lost father, Beecher tries to impress her by showing her the secret vault where the President of the United States privately reviews classified documents. After they accidentally happen upon a priceless artifact - a 200-year-old dictionary that once belonged to George Washington, Beecher and Clementine find themselves suddenly entangled in a web of deception, conspiracy, and murder. Please just tell the story. Colorado Congressman Evan Kendrick is trying to live out his term of office quietly—when a political mole reveals to the world Kendrick's deepest secret: that Kendrick was the anonymous man in Masqar, the man who courageously freed the hostage held in the American embassy by Arab terrorists; the unknown hero who performed an act of outrageous daring then silently disappeared. Now, suddenly, Kendrick is a living target pursued by the terrorists he outwitted. Politician or not. A real hero. The unthinkable has happened: ISIS, covertly assisted by Pakistan's intelligence services, has acquired nuclear weapons and the ability to deliver them anywhere in the world. They begin with an attack at Bagram Airfield, America's largest military base in Afghanistan. A second weapon is detonated in Battery Park in New York City. The blast levels a square mile of Manhattan, including the Financial District. Hundreds of thousands perish. The American economy is in chaos. Banks close their doors. Martin Stillwater has a vivid imagination. It charms his loving wife, delights his two little daughters, and gives him all the inspiration he needs to write his highly successful mystery novels. But maybe Martin’s imagination is a bit too vivid. And, of course, it's set during an American presidential election. When President Sally Allworth decides to reestablish America's Mogadishu embassy in Somalia weeks before Election Day, her challenger says she is playing politics with American lives. That turns out to be true when the embassy is attacked and hostages are taken. Embassy station chief Gunter Conner and marine captain Brooke Grant end up the unlikely survivors of this Benghazi-style attack. Suddenly they are the only hope for saving their captured colleagues. 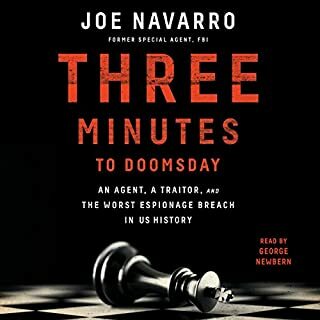 Only Newt Gingrich's unique, in-depth knowledge of the political realities of friend and foe could weave such a spellbinding tale of events and personalities, one that could actually happen...if America's leaders aren't wary of a world full of duplicity. After stopping a suicide bomber from exploding his vest in London makes the president of the US take notice of Marine Captain Brooke Grant. Brooke soon becomes a hero with her face known to many. General Frank Grant the Joint Chief of Staff has been able to watch out for and protect his niece Brooke placing her in places like Paris and London. That is up until the president decides to send her to Mogadishu to establish an American embassy in Somalia. I listened to book 3 first, not realizing that it was part of a series. Now I'm backtracking to book one. This book doesn't take off quite as quickly as the third. I think that's understandable since the characters are being established in this book. However, once it does take off, it TAKES OFF!!!! About 1/3 of the way through the book takes on locomotive speed. 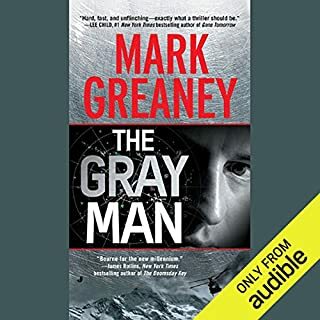 Robert Fass does an excellent job narrating however I did enjoy Eric Martin's narration of book three more. This book was harder to put down than a Michael Crichton novel. I thought at first that a political novel might be a little sleepy and boring but not this one. There was great action from the first chapter and stayed that way through the entire book. Also this isn't a book that tries to sell Republican ideas but seemed to focus on a more serious problem that our country is facing. This is a must read for every American regardless of your political stance. Where does Duplicity rank among all the audiobooks you’ve listened to so far? It is ok but I have a ton of audio books in the hundreds if not over a thousand so where could you place it most likely bottom of the middle third. What about Robert Fass’s performance did you like? No The Protagonist Marine Corps Captain was not very convincing. I hated that she had to argue with any one and every one that she came in contact with . Though supposedly the heroin of the story I kept hoping she would either mature as character or the author would write her out of the story. I picked up this book with a bit of trepidation. I know of Newt from his political career, of course, which was marked both by brilliance and controversy. But I wondered if this book with be filled with more sniping partisan shots than action-packed gunshots. I was pleasantly surprised to find out this is most assuredly not the case. While the premise of the book is one of things gone wrong because of partisan politics, it was handled in a surprisingly human way, not painting political opponents as mustache-twirling (figuratively speaking, since the President is a woman) villains. Instead, he depicts them as simply human, concerned with the country but also one's re-election, and the conflict this creates. The political climate and goings on were particularly engrossing for me. I know Newt's been near the top of the political heap, which helps to lend an air of authenticity to the tone of those political interactions, if not the specifics created for this story. The action is depicted decently enough, feeling reasonably authentic, rather than a Hollywood caricature of military action, aside from a few facepalm moments. The book falters a bit in its portrayal of its female protagonist in being just a bit too... well, somewhat annoying, to be honest. That's not something you want in a protagonist, or at least you'd want her to grow out of it a bit by the end of the book. She's not completely unlikable, fortunately. And the Frenchman? Yeesh... clichés wrapped in clichés, but oh well. 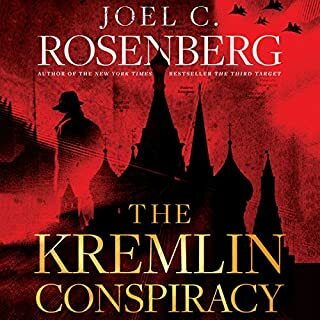 Overall, an enjoyable book if you're interested in how high-level political machinations can get mixed up into an action thriller. Robert Fass was excellent with the delivery of the story. This is the 5th book by Newt Gingrich that I have read, but the first involving present day events rather than things in the past. 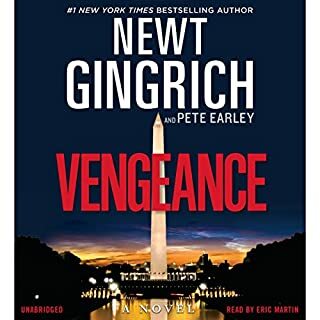 This book, like every other Gingrich book I have read, is full of well drawn characters, an interesting story and the insights of a trained historian and politician and I have seldom read any modern thriller that was more engrossing or truer to the times in which the book was set. It is unsettling easy to believe that the events taking place in this story could be tomorrow’s headlines and, in fact, parts of the story seem eerily like things that have been happening during the last few years. We have a President running for re-election making foreign policy decisions based on a desire to get a polling bump rather than on sound policy decisions, politicians lying to each other and burying facts, political blackmail, violations of US law and more, and all of that paralleling the story of an intelligence agent pursuing his own goals without regard to morality and law along with the story of a small group of marines who have to deal with the fallout of all of these decisions. All of the characters feel real, and the politics, background and partisan decisions taken have the feel of events that have possibly happened in the recent past. It is very easy to draw parallels between some of the characters and actual political figures in yesterday’s and today’s headlines and the main thread of the terrorist plot feels as real as what we see on the news. The narration is very good, the story is gripping and Mr Gingrich has delivered another great book. I will certainly buy the sequel. I thought the main character, the woman, a bit too headstrong at inappropriate times. Mist of the Tim I liked her, but sometimes she really grated on me. The story was entertaining and kept me interested. If a sequel was written I would get it. Meet US Marine Captain Brooke Grant! 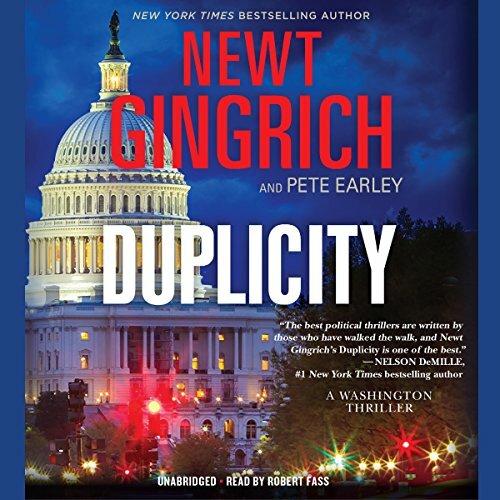 Duplicity is a really good political/military suspense thriller. It is Book 1 in the three novel Brooke Grant series. Brooke's parents died in the World Trade Center on 9/11/2001 when she was in her mid-teens. She was then taken in by her dad's brother and his wife. Her uncle, who is very protective of her despite her objections, is US Army General Frank Grant who serves in the US government as Chairman of the Joint Chiefs of Staff. 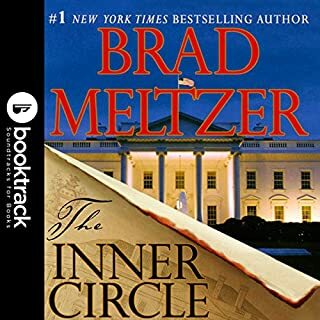 The novel occurs during a US presidential election with incumbent president Sally Allworth being challenged by the very wealthy governor of Florida. In a political decision President Allworth opens a US embassy in war torn Somalia. 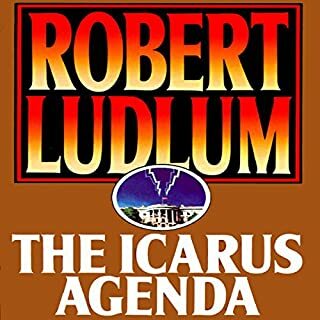 The decision has rather dire consequences for the US and especially for Captain Brooke Grant and the US diplomatic mission members, The antagonist of the entire series is an a Islamic militant leader known only as The Falcon. Robert Fass narrates the first two novels in this series and Eric Martin narrates the third. Both a quite good, but Martin is better. I started this book 7 times and never got past chapter 15 before I fell asleep. I thought it would be an action story, but as far as I can tell it is ONLY about back room politics. Fast paced, relevant to what is happening in the world today.. Scary tho to think that our elected officials act this way..